Last month, we returned to a place that has played a big role in shaping our lives. 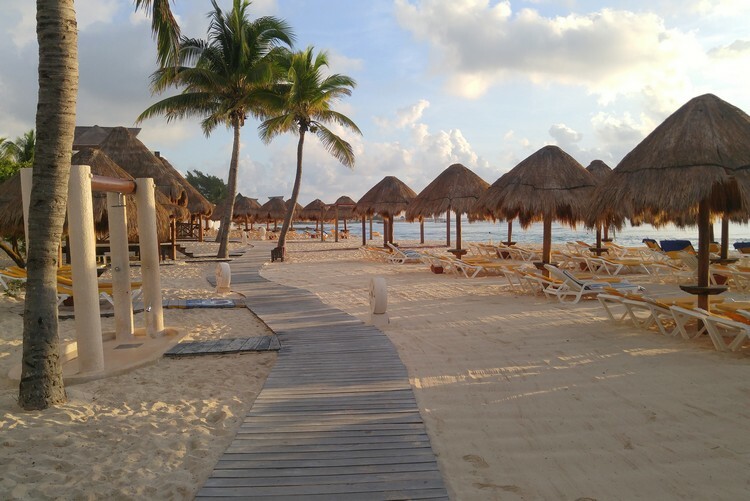 Ten years ago, we were married on the sandy shores of Mexico‘s sun-drenched Riviera Maya, a milestone that’s still hard for us to fully comprehend. 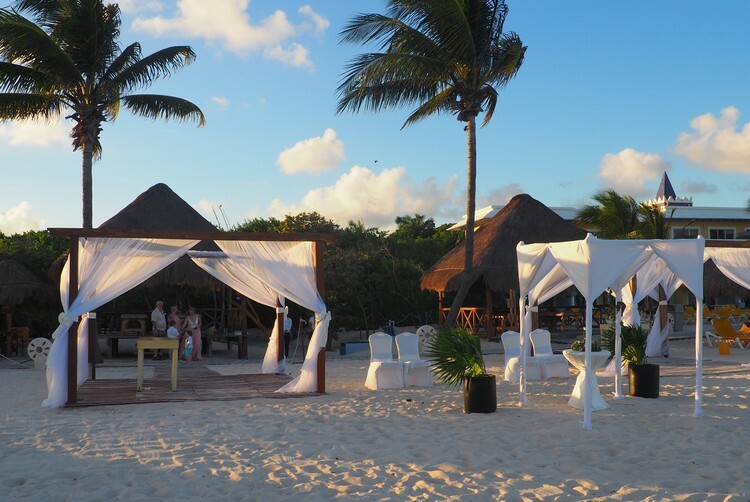 Last month, we returned to that very same beach to celebrate our journey and add a new chapter to our family story. 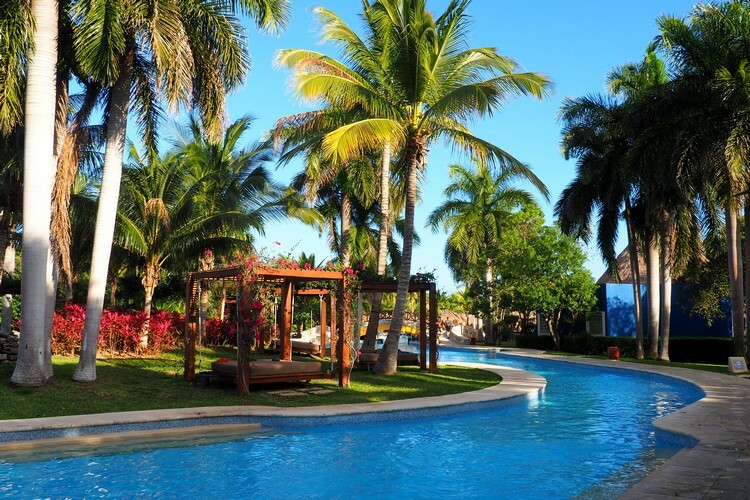 We don’t typically return to the same place twice, but this resort is an exception to the rule. When we returned the second time, to celebrate our 5-year wedding anniversary, it felt as if time stood still. Everything looked and felt the same. It was if the resort had not aged a day. We found ourselves walking down the same paths and dining at the same restaurants. It was fun to be at a place that felt so familiar. I can’t rememeber which one of us made the comment. It doesn’t matter. We were both in full agreement. It WOULD be fun to re-visit this place every five years. BUT, how would the resort hold up over the years? Would it feel like we were chasing a distant memory that can’t possibly be re-lived? Spoiler alert – it was just as good as the first time. Maybe better. A lot has changed in the past ten years. We’ve traveled around the world multiple times. 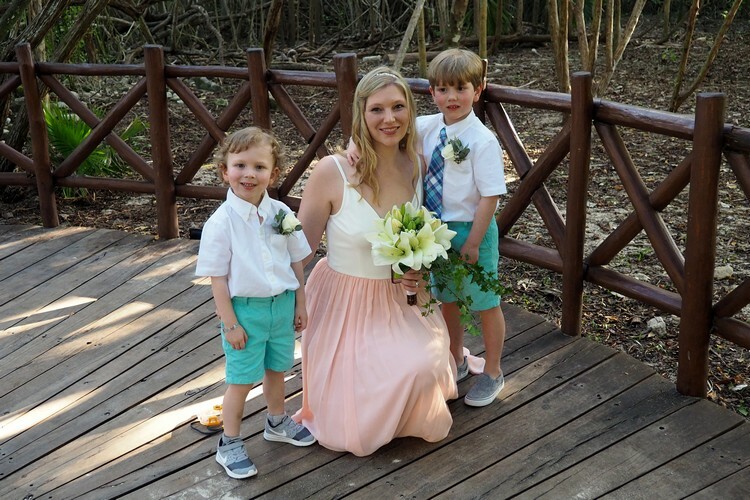 We now have two boys, one who will turn 7 years old later this year (WTF?!). We have a new home in a new neighbourhood. We have new jobs at new offices. We have also, unfortunately, had a few people leave us too soon. “Life moves pretty fast. If you don’t stop and look around once in a while, you could miss it.” I will always remember those infamous words by Ferris Bueller. Returning to the same place many years later has allowed us to view our lives through a different lens. It gave us a bookmark to see how much we’ve accomplished over the years. It also reminded us about the life goals we have still yet to complete. The vibe at the resort was similar to that feeling you get when you return to your childhood home after being away for several years. So much has changed in your life, yet everything around you looks and feels the same as when you left. 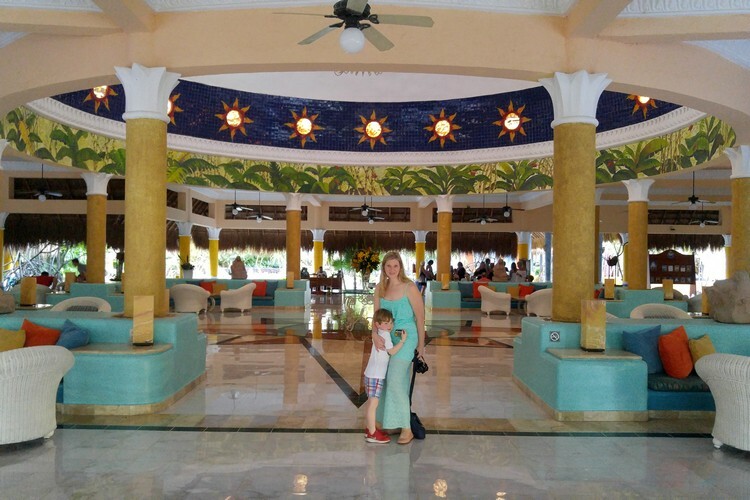 Initially, when I sat down to write this post, my intent was to write about the beach resort – the Iberostar Paraiso del Mar. 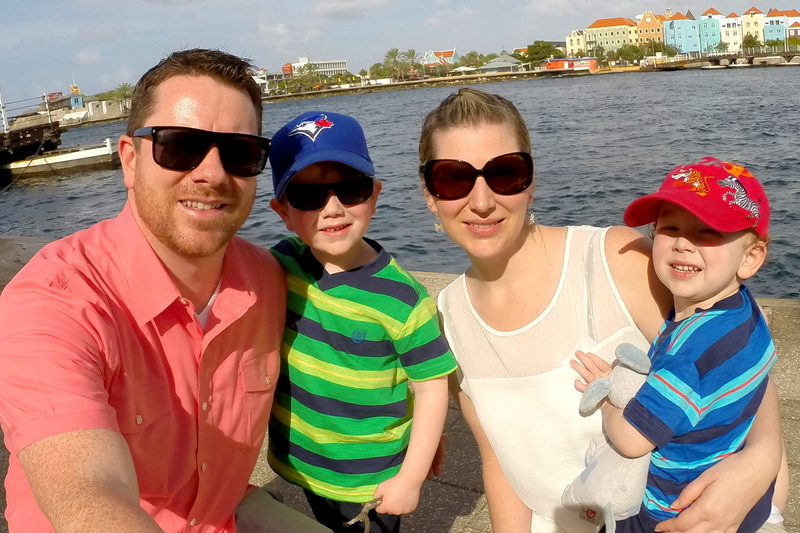 We get a lot of messages from you guys about what resorts are good for family travel (keep those messages coming, we’re happy to help), so it seemed like a good place to start. 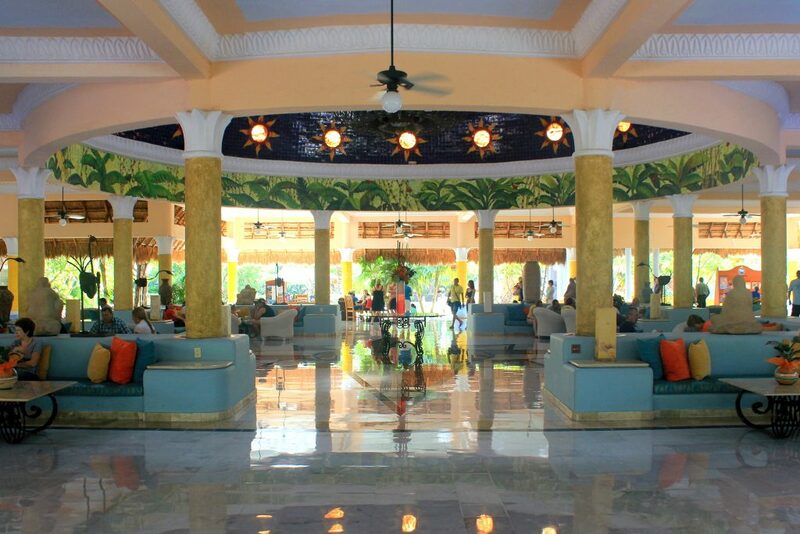 However, as I began typing, I realized that the real story is the contrast between our visits to this resort. 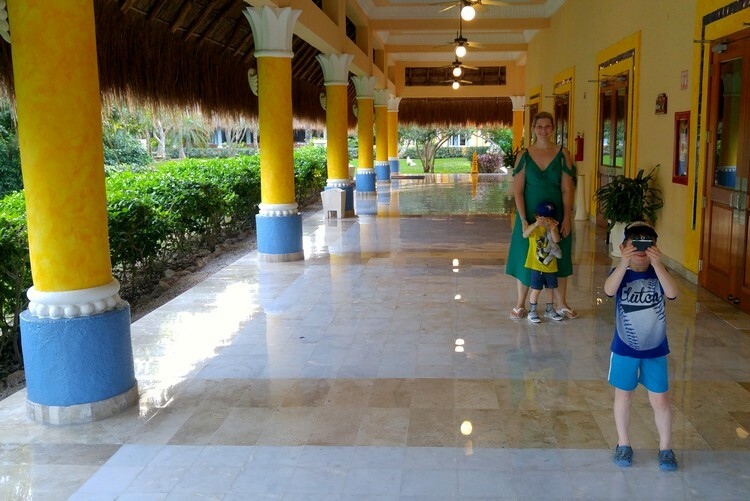 If you’re wanting info about this resort, we wrote a review from our visit 5 years ago – read the post here. 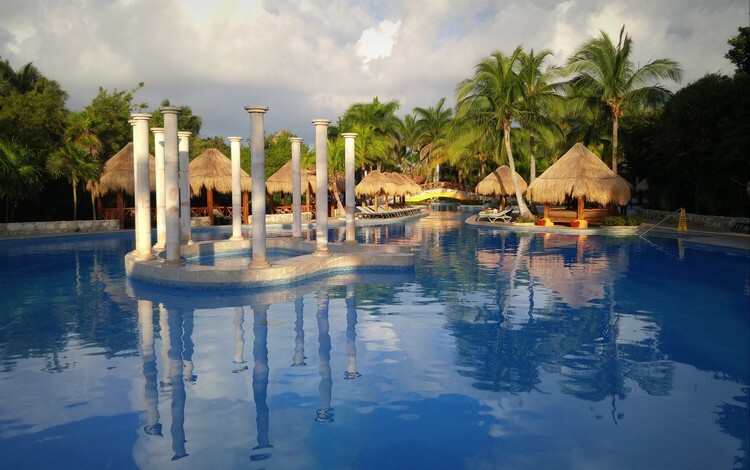 We also made a short video about the resort – watch it here. I searched the photo archives to find a few old photos from previous trips. I thought it would be fun to see the contrast between trips. Here’s the thing about kids – they grow like crazy, which makes you feel like life is moving a LOT faster than it actually it is. Surprisingly, we don’t have a lot of photos from our first trip to the resort back in 2008. This was the wedding trip, so a lot was going on. We also didn’t have smartphones with cameras back then, so many moments were missed because we didn’t have the camera with us. Perspective – digital cameras were still relatively new and many of our guests were still using film cameras – think about that for a moment. 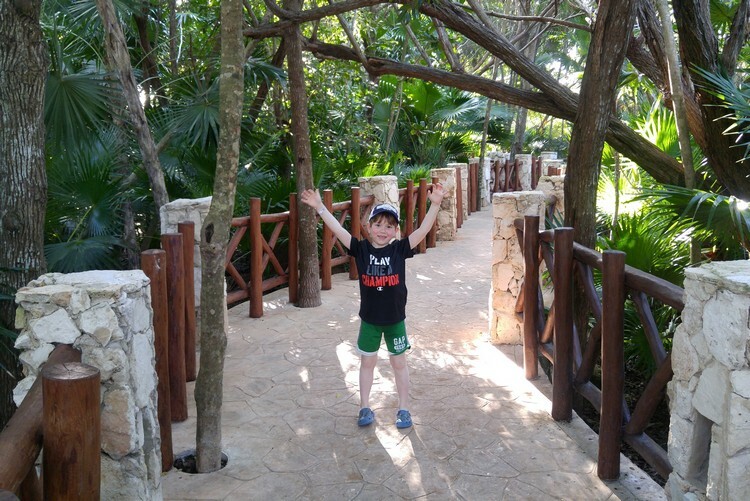 When we returned to the resort in 2013, we had our hands fun with Braydon. He was only 15 months old at the time, so we were knee deep in diaper changes and daytime naps. But we did manage to capture some of the moments, thanks to our iphone (although, I remember the photos looking a lot better than they do – it’s amazing how good the new smartphone cameras are now). Below are a few ‘then and now’ photos from the past two trips. 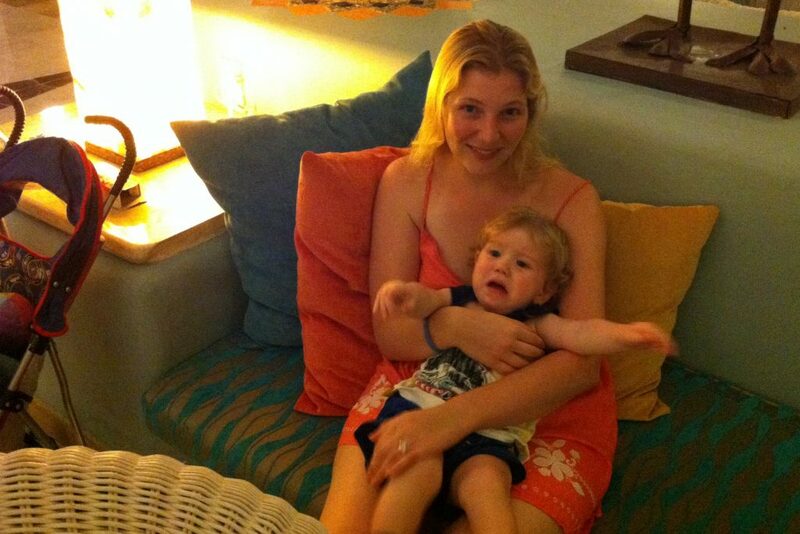 Then – Braydon liked to climb on Nicole when she was in the hammock. Now – peace at last! The boys are happy to leave her alone and play in the sand instead. 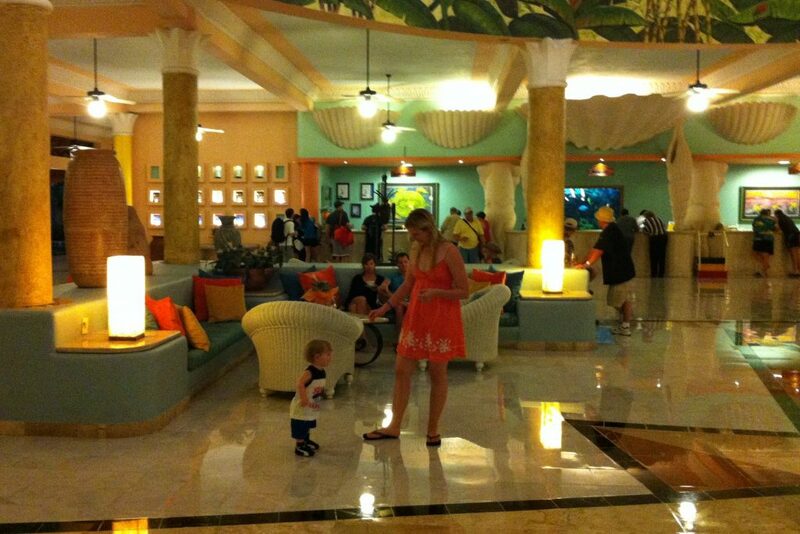 Then (above) and Now (below) – Braydon and Nicole in the resort lobby. 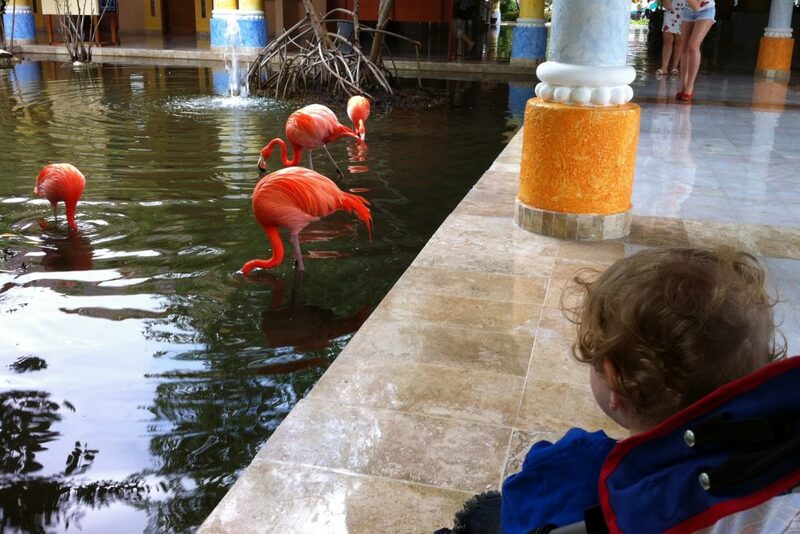 Then – Braydon watching the flamingos from the marble walkway. Now – same marble walkway. 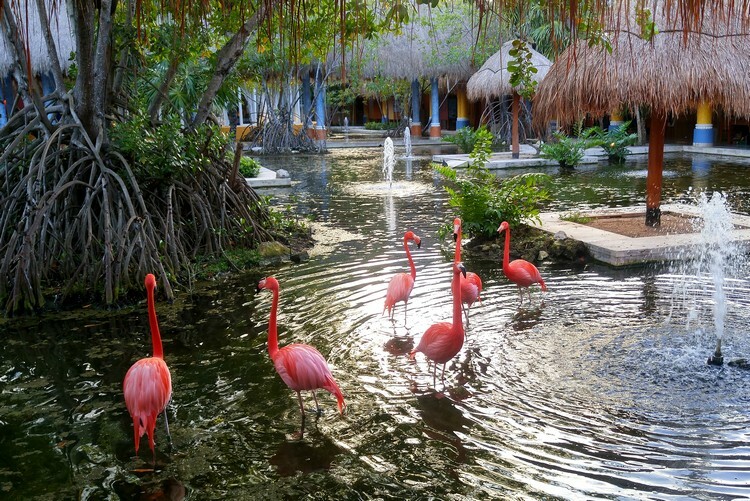 No flamingos in the frame, but they’re still there. See below. 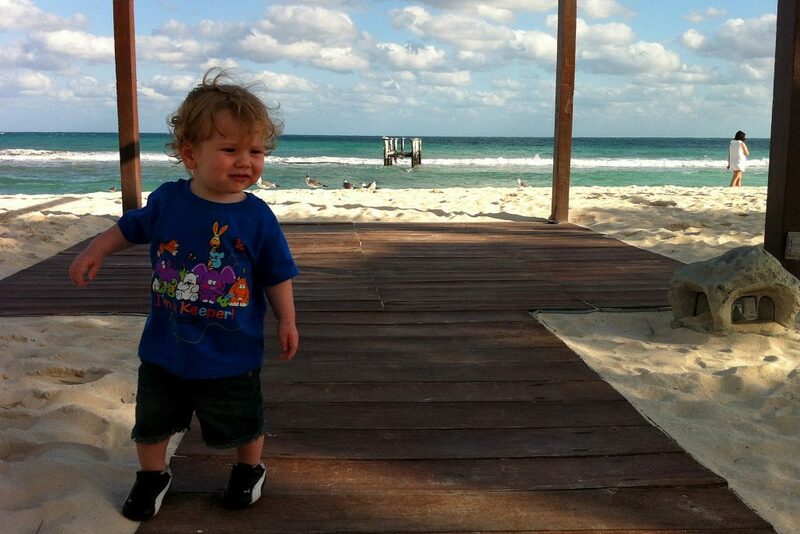 Then – Baby Braydon standing on a wooden platform at the beach. Above and below – The same wooden platform on the beach. 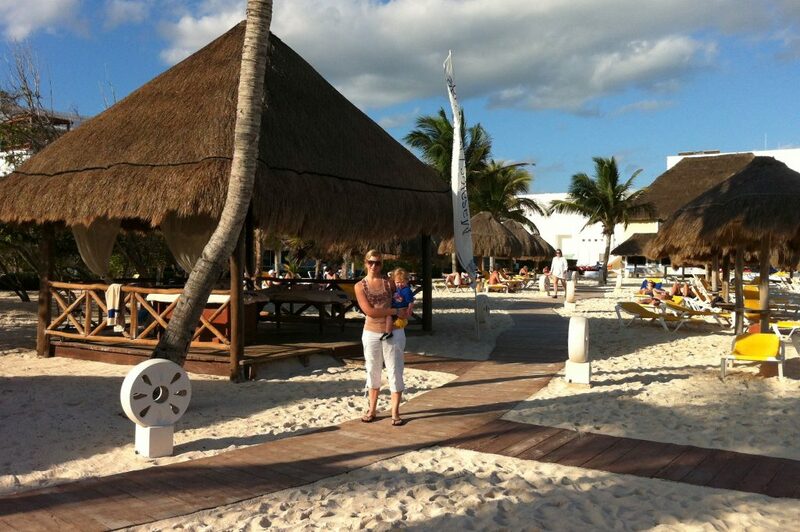 Then – Nicole with baby Braydon on the beach boardwalk. Now – the above photo was captured at the exact same stretch of boardwalk. You can see Nicole and the boys in the distance, to the left. The photo below was captured about 20 feet to the left. Above – this is the lobby 5 years ago. 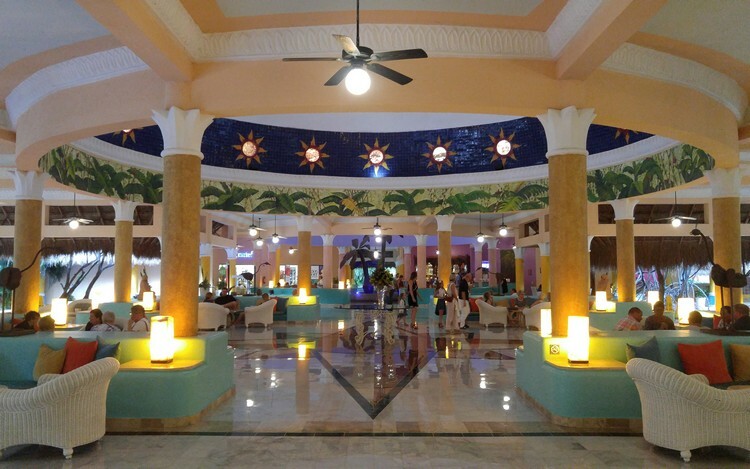 Below – this is the lobby 5 weeks ago. Above – Nicole and Braydon on the path that leads to the beach. 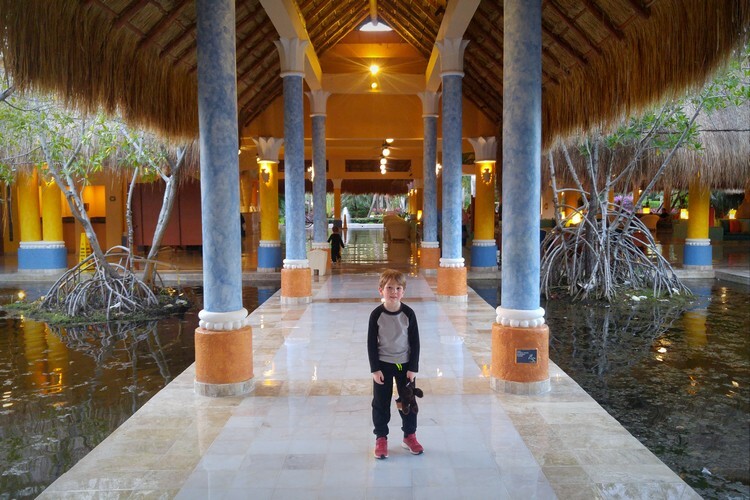 Below – Braydon walking down the same path 5 years later. Above – Nicole pushing Braydon in a stroller. 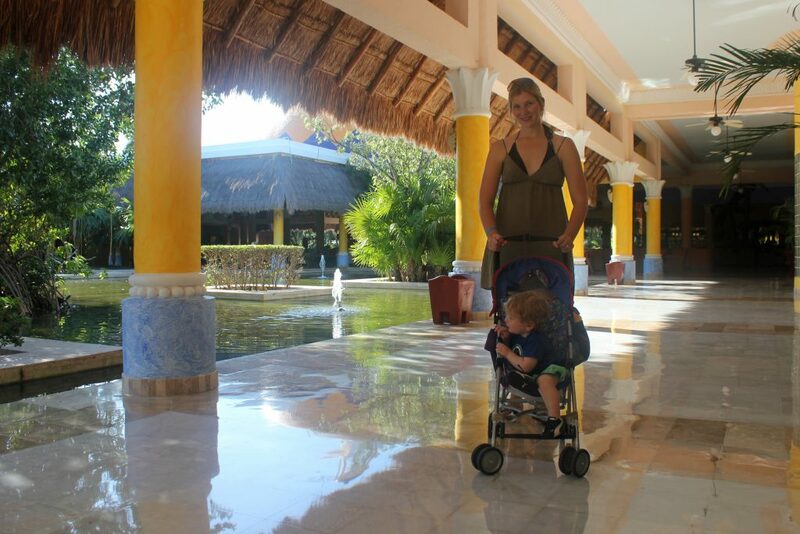 Below – Same place but add one boy and subtract one stroller. 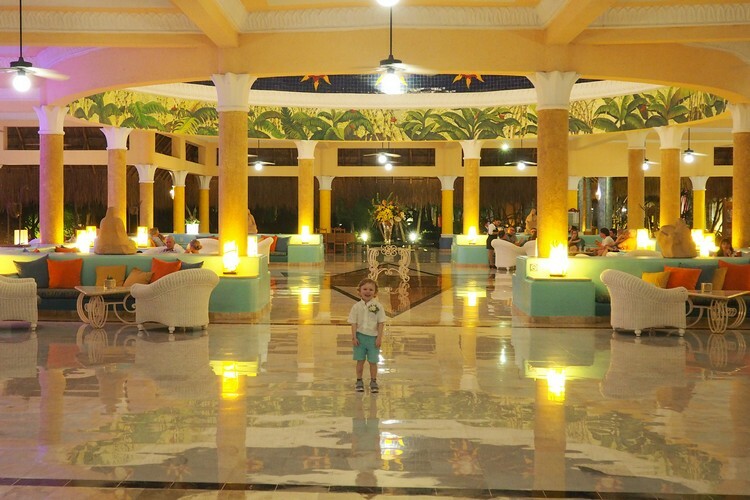 Above – Braydon standing in the middle of the resort lobby at night. Below – Connor standing in almost the same spot. Then and Now – this is the exact same couch. Slightly different reaction. 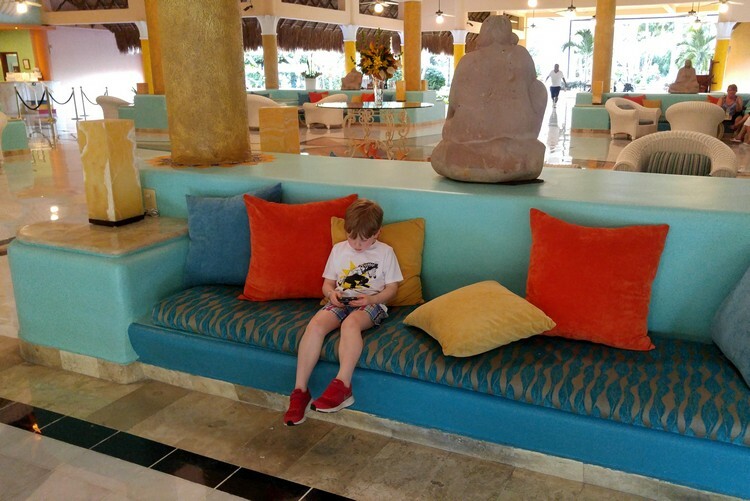 Then and now – same boy, different lounger. Above – Braydon mesmerized by the waves crashing on the beach. 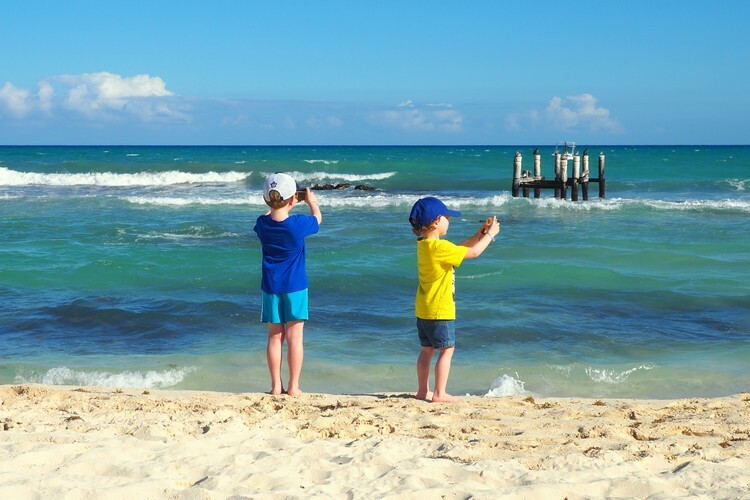 Below – Braydon and Connor at the exact same spot, still in love with the beach. Above – Baby Braydon standing on the balcony. 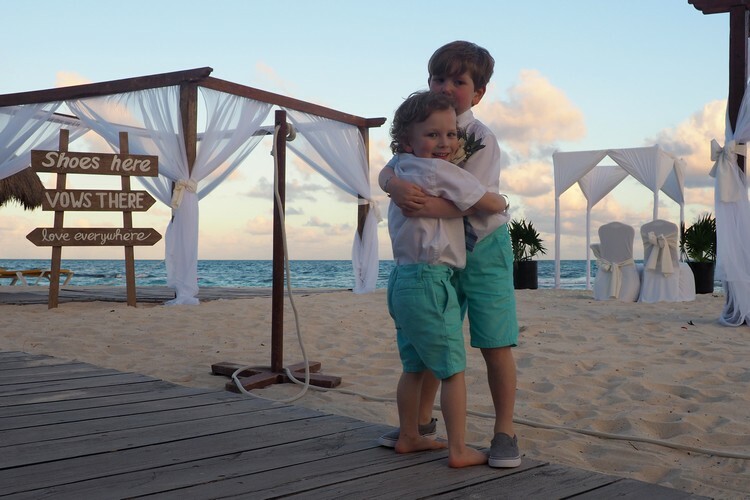 Below – Braydon and his little brother standing on the balcony. Above – Braydon playing in the sand at the beach. Below – Connor making sand castles on the same stretch of beach. Then and now – Nicole on the beach boardwalk with her boy (above), then boys (below). If you’re wondering why we’re all dressed up – Read this post. Above – Braydon on the carousel at the resort. Below – Braydon wanted to go on the same carousel and he picked the exact same seat as the above photo. This was completely random and unprompted. We actually had no idea until we looked at these photos. Then and Now – Braydon at 15 months old and 6 years old. Then and Now – the beach hasn’t changed much in 5 years (but my camera improved). Then – Bradyon chasing waves and running up and down the beach. Now – Connor doing much of the same. Then and Now – Dining at the main buffet. Notice the linens and chairs are the same. 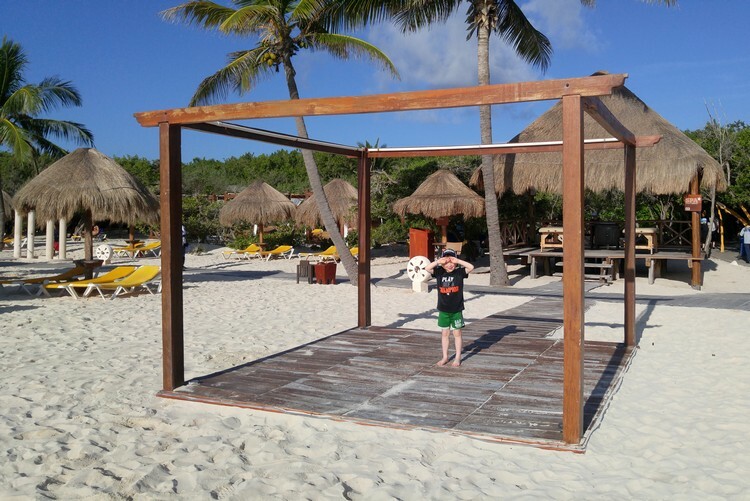 Then and Now – Braydon embracing the laidback beach vibes. Do you follow us on Facebook? If not, come say hello and stay up-to-date. Then and Now – the lifeguard tower looks different when these two photos are compared. 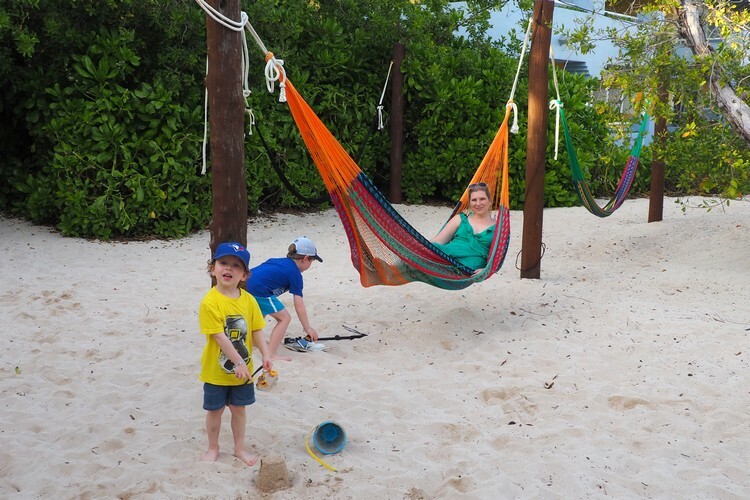 The yellow beach loungers look to be the same and the sand is still soft and silky smooth. Alright, that’s enough reminiscing. I’m sure we enjoyed those flashback moments more than you. We’re constantly amazed when we look back on old(er) photos and see how much our boys have grown. 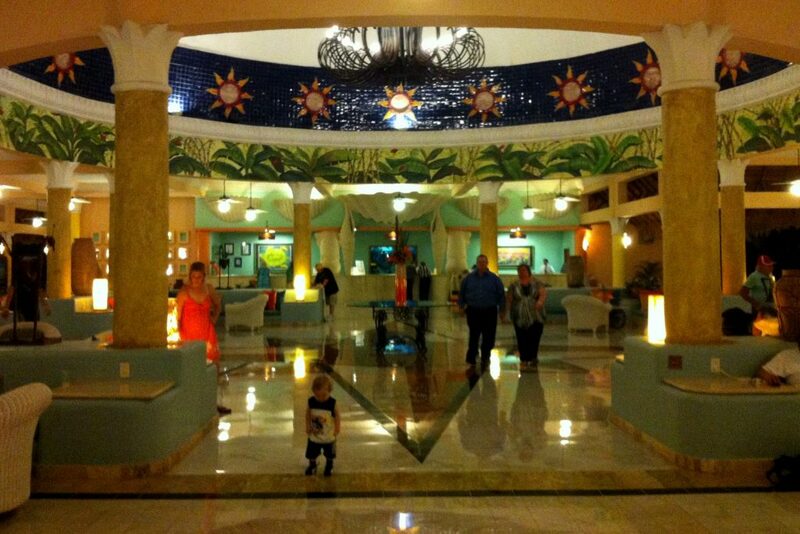 We were impressed that the resort has managed to look and feel the same as it did ten years ago. That requires a lot of maintenance and investment, which is not always a priority with large hotel chains. Hopefully it will still be in good condition when we return in 5 years. We look forward to writing a similar post in 5 years time. It will be fun to see how much our family has changed and grown over the next few years. I love the two little toddlers. They are so cute. Well how do you manage with them in the trips? We always plan ahead. We always bring lots of snacks and activities to keep them busy. They are also very familiar with traveling, so that helps. They know what to expect and are always very excited to explore new places.